Ecology and Evolution publishes papers reporting theoretical, experimental, applied and descriptive work in terrestrial and aquatic environments. The journal considers submissions across taxa in areas including but not limited to micro and macro ecological and evolutionary processes, characteristics of and interactions between individuals, populations, communities and the environment, physiological responses to environmental change, population genetics and phylogenetics, relatedness and kin selection, life histories, systematics and taxonomy, conservation genetics, extinction, speciation, adaption, behaviour, biodiversity, species abundance, macroecology, population and ecosystem dynamics, and conservation policy. 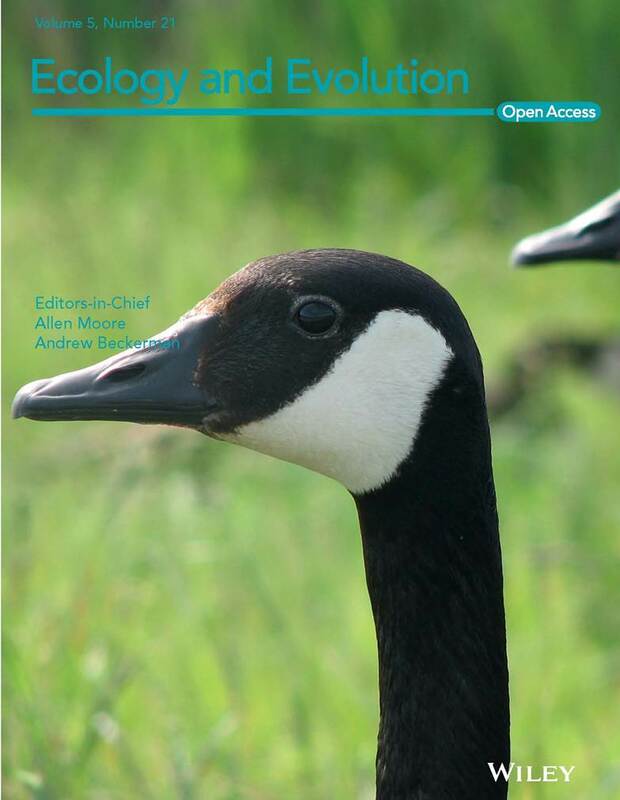 All articles published in Ecology and Evolution are fully open access: freely available to read, download and share immediately on publication. The British Ecological Society works in partnership with Wiley-Blackwell to publish Ecology & Evolution. The journal publishes papers submitted directly to it as well as those referred from a select group of prestigious journals published by Wiley-Blackwell, including all the BES journals.